Carly's Manchester United Blog Manchester United Blog: Could This Be The End For Fergie? Could This Be The End For Fergie? According to Sir Alex Ferguson's son Darren, Fergie will be quitting at the end of next season, having completed 25 years in charge at Old Trafford. Speaking to The Guardian Fergie Jr said: "I can see him doing this year and next and then that might be it for him. His health is fine and he's building a new team. If they win [the league] this year, then they catch Liverpool in terms of league titles won and that will be in his mind." 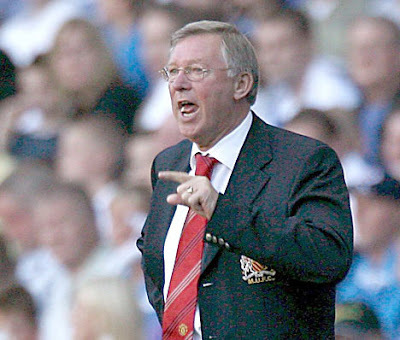 Fergie was due to retire at the end of the 2002 season but midway through that year he did an about turn and decided to stay on. Since that time he has not revealed any clues whatsoever as to when the fateful day of his departure will be. When asked about the subject he replies "it's none of your business".